Originally created by Frank Lloyd Wright for a 1927 cover of Liberty magazine, the colorful abstract desert pattern of Saguaro Forms and Cactus Flowers has become one of the famed architect's most beloved designs. Now you can enjoy its geometric intricacy in a fun new way when you assemble this 1,000-piece jigsaw version! 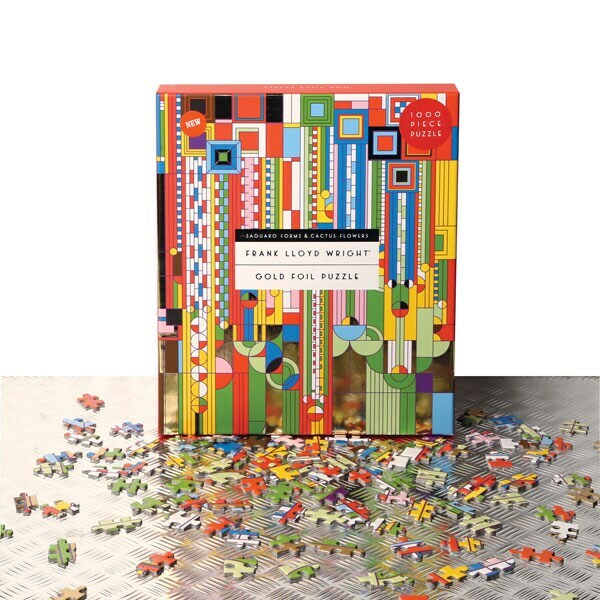 Embellished with gold-foil accents, the striking puzzle presents an elegant challenge for dedicated puzzlers. Measures 20"x27" when complete.